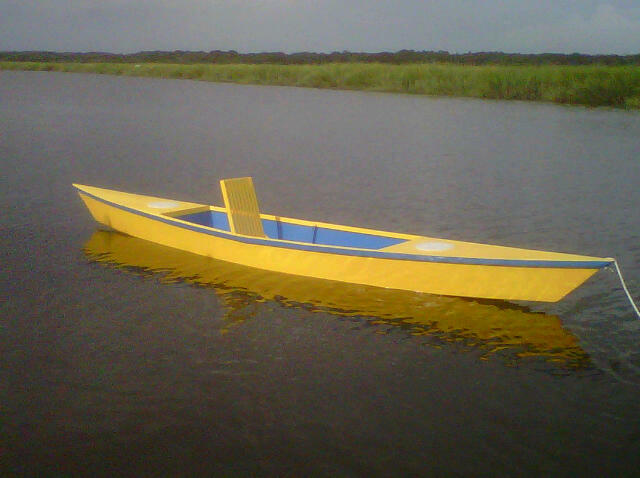 Uncle John’s General Store, (www.unclejohns.com), offers easy-to-build Cajun Pirogue kits. Peter Mallory of Amelia Island, Florida, built one of these kits making a 15′6″ model with a 31″ beam. 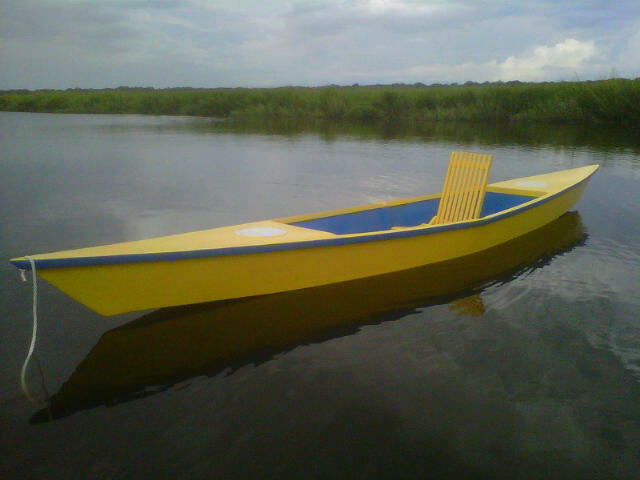 Peter used 1/4″ luan plywood for the hull and decks, stitch-and-glued construction with epoxy and fiberglassed seams. Then Peter coated everything with several coats of polyurethane. The decks and hatches are a modification Peter made to improve flotation and storage. Peter paddles his pirogue on the tidal creeks and intracoastal waterway around Amelia Island.